Screen Doors & Sweet Tea: Potatoes!!!!!!!!!! 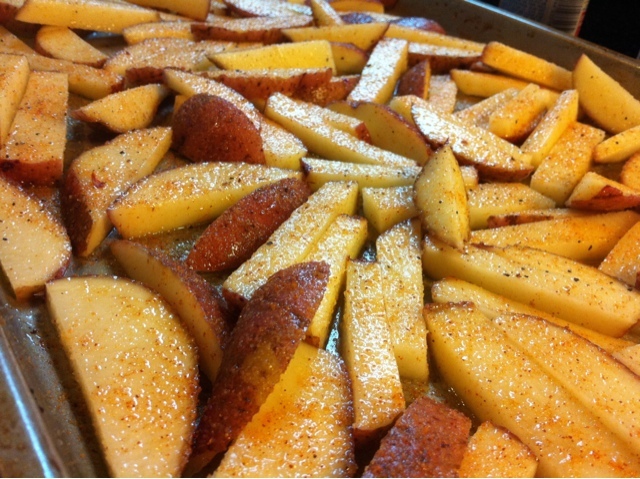 Directions: Slice your potatoes and layer them in a large glass baking dish, sprinkle with garlic powder, chives, garlic salt, onion powder, and pepper. Then, cover with tin foil and bake at 400 degrees for about 20 minutes, or until the potatoes are soft. 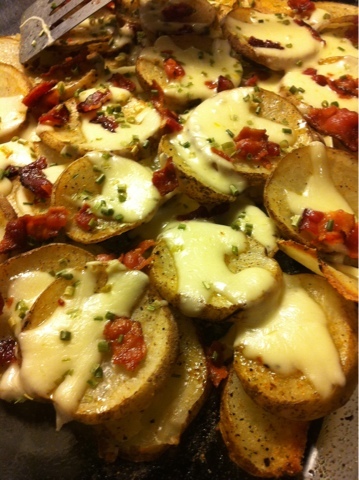 When you take it out of the oven add the cheese, and bacon. Place the potatoes back in to the oven until the cheese is melted. My husband has a thing for french fries. Its much cheaper to just make them at home than to keep buying the frozen kind. Directions: Slice your potatoes in half, lengthwise. Then cut small slices off of the halves lengthwise. Add all the ingredients in to a bowl a mix well. Add to a baking sheet sprayed with cooking spray, bake for 30 minutes at 375, turning the fries over with a spatula after 15 minutes. I'm kind of addicted to these right now! YUMsss! 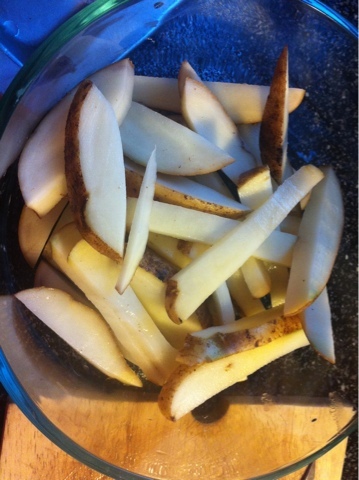 Direction: Make 4-5 slices lengthwise on each potato, and then make 4-5 slices on each slice. (I know that sounds kind of confusing. )Toss all the ingredients in a bowl then lay them out evenly on a baking sheet that has been sprayed with cooking spray. 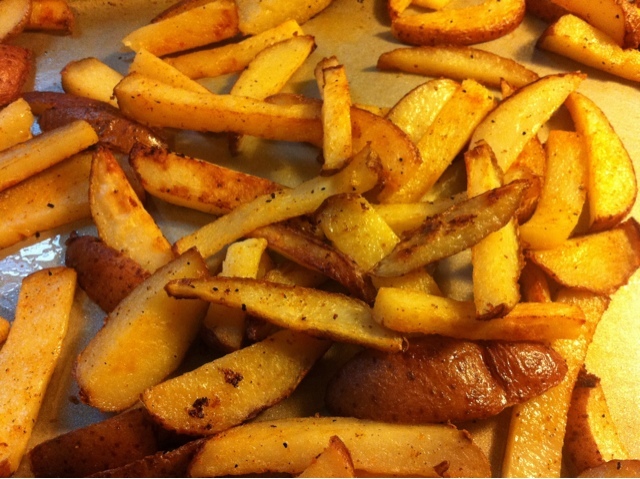 Bake at 400 degrees for 15 minutes, turn the fries over then bake for another 15 minutes.